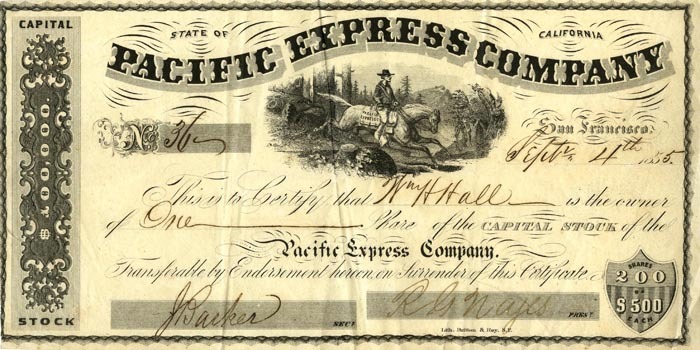 This Pacific Express Co. stock certificate has a very unique vignette of an express rider on horseback. The company was incorporated on March 2, 1855. Britton and Rey Company printed the stock, which was out of San Francisco. Several past employees of Adams & Company, which went bankrupt in February 1855, formed the Pacific Express. Pacific Express operated for about 2 years mostly in California, but other areas of the United States.